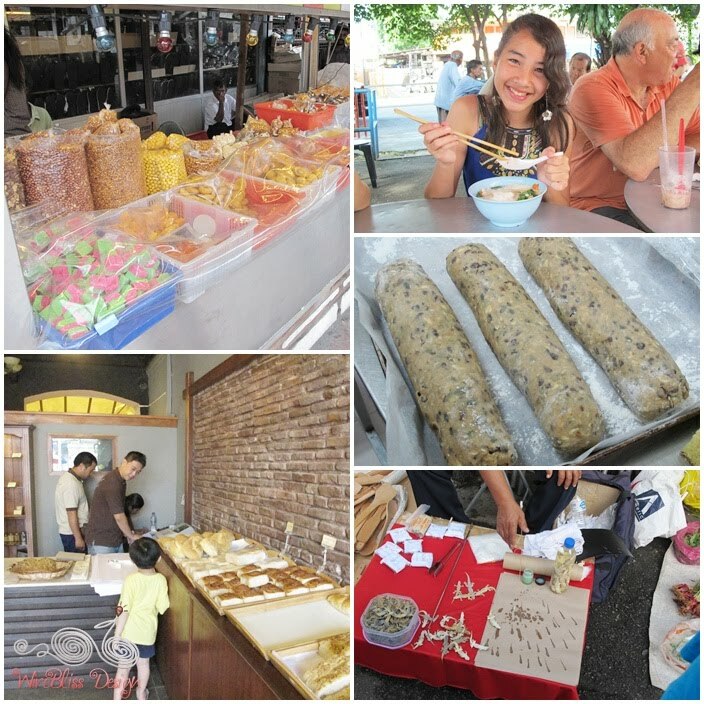 Been wanting to post pictures taken while we were in Penang (Island) but didn't realize I took so many of them. I ended up spending way too much time choosing and editing these photos. While in Penang I also realized the StatCounter on my blog shows the figure 300,000 +. This generally means my blog been visited/hit for more than 300 thousand times! Thank you to all my readers and followers (new, old, not yet discovered, etc. :) for being so loyal and for reading my blog. I hope you bare with me as I have not been able to post as frequently as I like. That aside, here are highlights of our Penang Trip. Whenever people say they are going to Penang, they are (always!) reminded to EAT! EAT! and EAT! So! 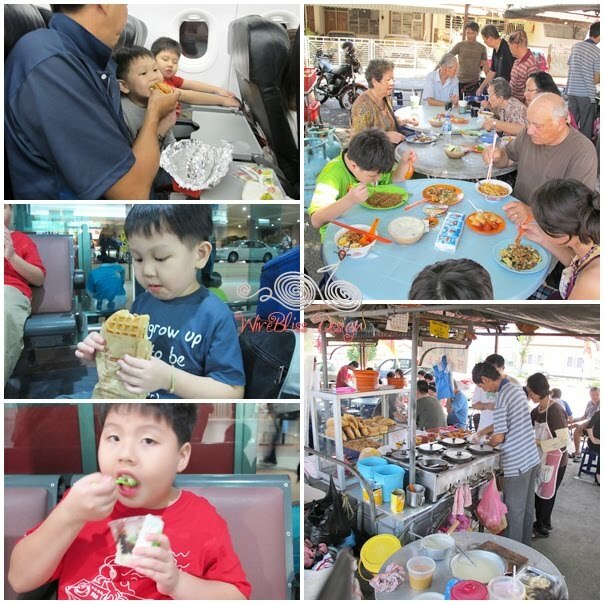 dear hubby and the boys started eating while on the plane and at the Penang Airport while we waited for our transport on arrival. Hawker food is very popular in Penang. You find them in every available corners. 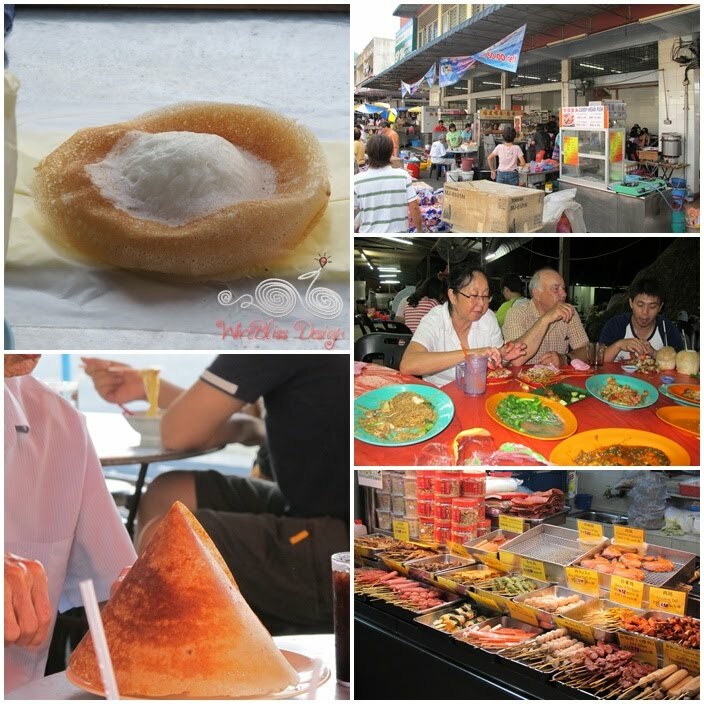 We were told half of Penang's population (out of 800k, density of 2.5k every km square) is involve in food business/preparation. So, you can imagine, practically surrounded by food. Be brave and adventurous with food and you will not regret. 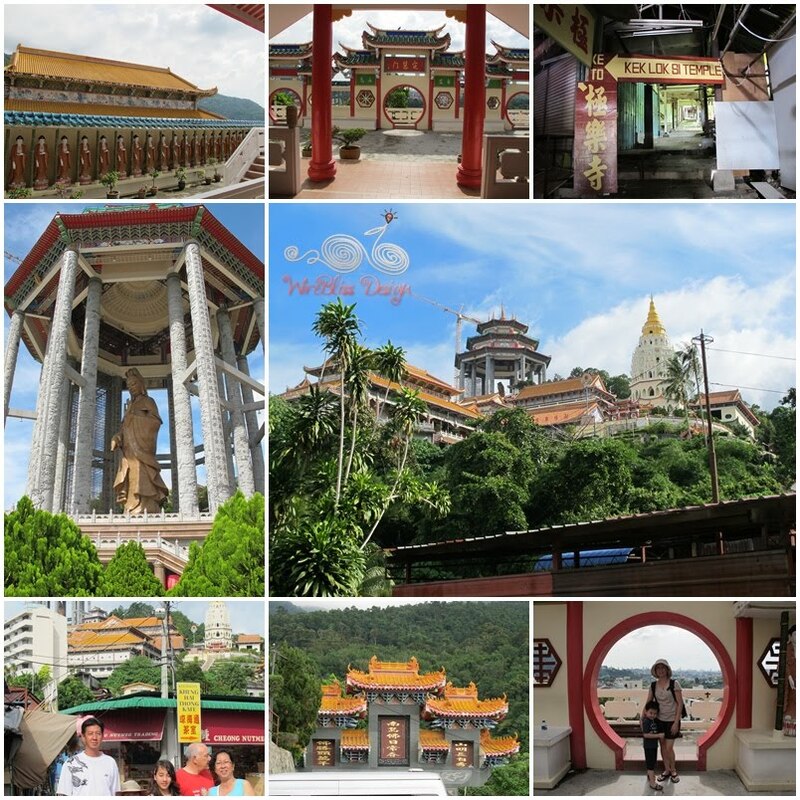 One of the places we visited - must visit is the Kek Lok Si Temple, the largest Buddhist Temple in South East Asia. Few weeks before our visit, there were reports in the paper that there is terror plot to attack temples including Kek Lok Si Temple. Anyway, I am not delving into that, it just news. Penang also has many old historical buildings. 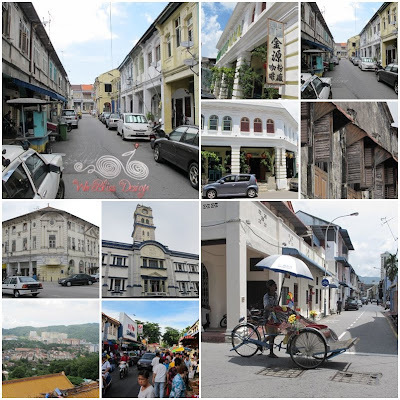 Many of them are "Heritage Buildings", left by the British Empire about 200 years ago, restored and turned into tourist attractions. 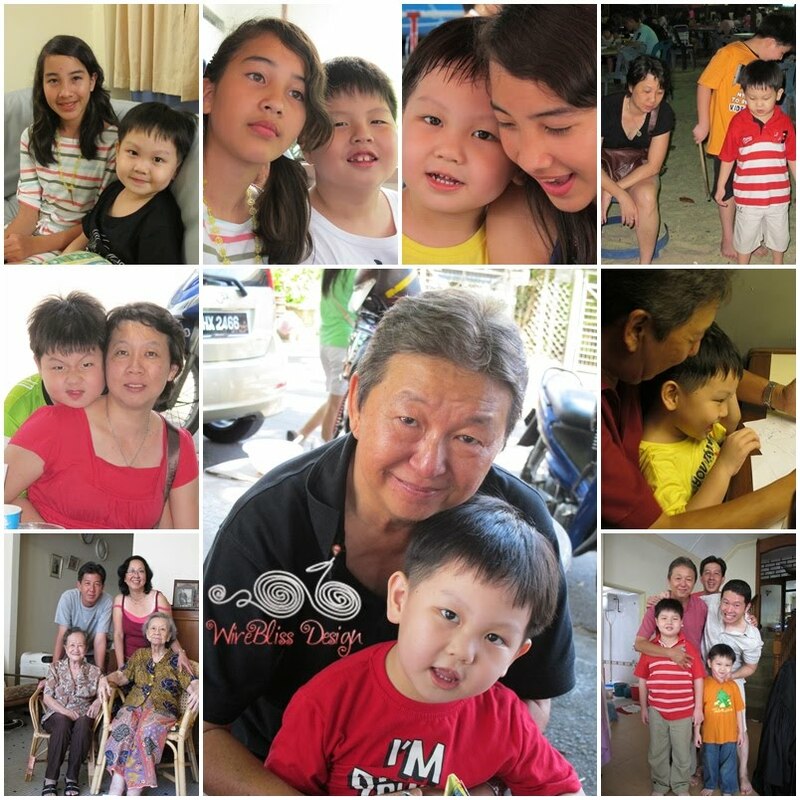 Last but not the least are the "People" of Penang. 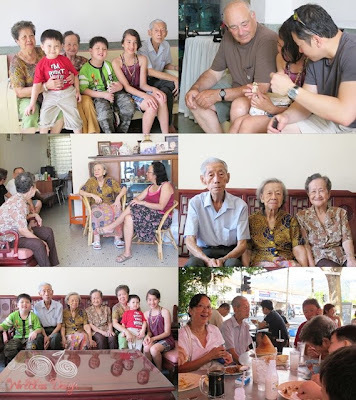 After all, this was our main purpose for the trip - visiting and getting to know the families and relatives. This is our boys' first proper introduction to them...ermm actually mine too...ops! 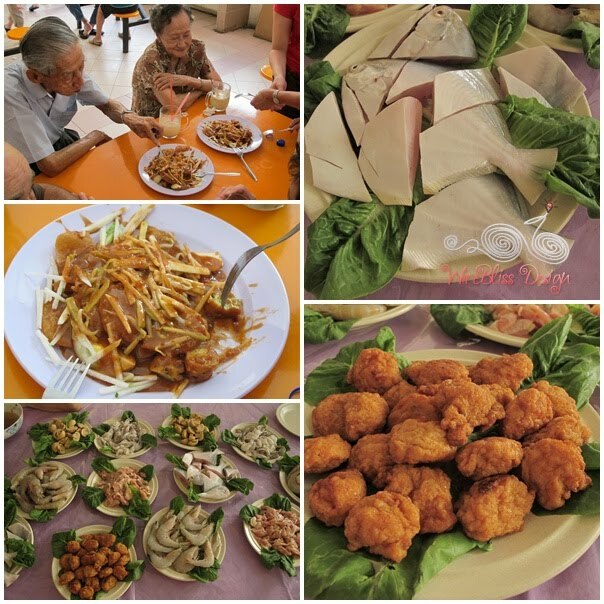 The boys really love their "Chek Kong" (middle bottom pic).